We are currently planning out our events for this summer and fall. Keep an eye on the right-hand column on this website for news about our upcoming events and things that are in the works. When the items are in red you can click on them to take you to the post that describes more detail. July 4th – Dress up your MINI and participate in the Oak Lawn July 4th parade. Full details will be posted shortly. August 8th – Plans are still tentative, but we are looking into a Culvers get-together in Downers Grove. October 3rd and 4th – We are looking into the idea of a Southwest Wisconsin overnight trip. 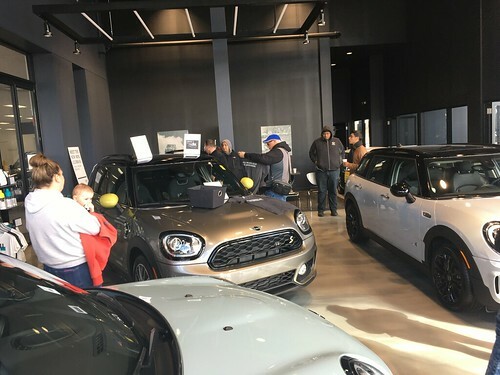 The Windy City BMW club has again made a special offer to the Chicago MINI Motoring club . They are offering us a discount for their driving school at Putnam Park on August 22nd and 23rd as well as including a years membership to the BMWCCA. This is a fantastic opportunity to improve your driving skills and enjoy testing you and your cars limits in a safe controlled evnironment.